Many people believe they have a relatively limited aptitude for learning Xhosa. This is because traditional classroom strategies tend to under-exploit the full potential of students. This course aims to overcome language barriers using techniques that counteract negative suggestions or fears. The course will develop participants’ basic language ability in Xhosa as a spoken language. Some knowledge of Xhosa culture can promote positive human relationships and even a basic working knowledge of the language will allow participants to expand their circle of friends, clients or customers. By the end of the course participants should be able to pronounce Xhosa sounds, names and family names and introduce themselves, greet others and make requests. They should then have the confidence to use small talk to initiate and maintain conversation in ordinary daily communicative language. This course will foster positive and supportive attitudes, encourage active participation and make use of a range of relaxation and language exercises. Homework will be minimal. Please note that this course runs for three weeks, including an extra week after Summer School ends. The course fee includes all course material. 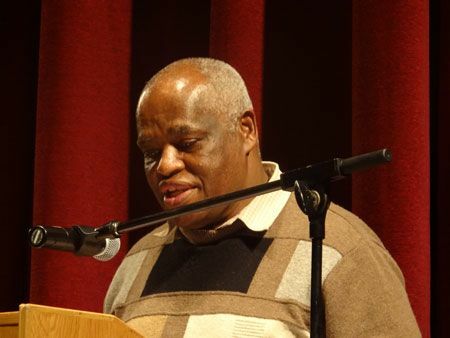 Sandile Gxilishe is Emeritus Associate Professor in the School of Languages and Literature at the University of Cape Town. He studied at Essex (UK), Stellenbosch and Columbia Universities. His chief interests are acquisition research in both first and second language as well as first- and second-language teaching and learning. He has published widely in the areas of child language development, first- and second-language learning and sociolinguistics. He is a member of the Board of Trustees of the Stigting vir Bemagting deur Afrikaans (SBA) and also a member of the Ministerial Steering Committee in the Afrikaans Project.